I created this site out of a love for two things: camping in Algonquin Provincial Park, and kayaking. Taking a kayak into portage country takes a bit more care and attention to detail than you might need with a canoe, but if you love kayaking, and love camping, the reward is worth the effort. 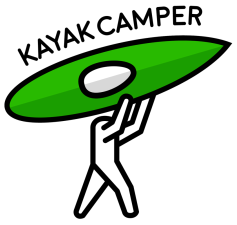 My goal with this site is to give anyone who kayak camps, or is thinking about kayak camping, the tools they need to make their experience an incredible one. You also find me on my YouTube Channel where I post videos of my camping trips, along with other videos focused on the art of kayak camping.